1838: Northumberland, England. Longstone Lighthouse on the Farne Islands has been Grace Darling’s home for all of her twenty-two years. When she and her father rescue shipwreck survivors in a furious storm, Grace becomes celebrated throughout England, the subject of poems, ballads, and plays. But far more precious than her unsought fame is the friendship that develops between Grace and a visiting artist. Just as George Emmerson captures Grace with his brushes, she in turn captures his heart. 1938: Newport, Rhode Island. Nineteen-years-old and pregnant, Matilda Emmerson has been sent away from Ireland in disgrace. 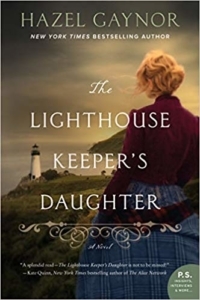 She is to stay with Harriet, a reclusive relative and assistant lighthouse keeper, until her baby is born. A discarded, half-finished portrait opens a window into Matilda’s family history. As a deadly hurricane approaches, two women, living a century apart, will be linked forever by their instinctive acts of courage and love.